The 100mm PLUS support rings are designed to be used with Ø100mm tube refractor telescope (or other telescopes brands with tube approximately 100mm in diameter) to expand the possibilities of use. 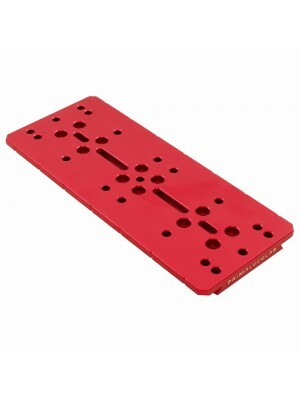 In this way, for example, you can install both above and below the optical tube our PLUS plates or even guide rings. The 100mm PLUS can be used with Skywatcher ED80 or ED100 telescopes. The 100mm PLUS support rings are designed to be used with 100mm tubes refractor telescopes like Skywatcher ED80 ed ED100. Adding these rings, you can broad the possibilities of use of this telescope as it becomes possible, for example, the installation also on other mounts or to install telescopes in parallel. 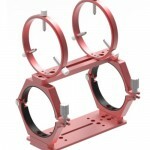 These rings can be used with optical tubes with 100mm diameter.